Mousetalgia carries the banner and reviews the current touring production of Newsies, which landed recently in San Francisco. We discuss the differences between the film and the touring production, and even some differences between the Broadway show and the current tour. Souvenirs, dancing, the music – we cover it all. Then, Dave and Becky review Disney on Ice: “Let’s Celebrate,” and describe the experience. (Hint: bring a kid!) 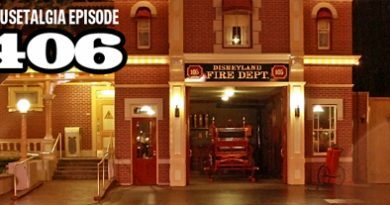 Also, the Mallett family joins us to discuss visiting Disneyland almost 60 years ago in 1955 when they won a radio contest in the Golden Horseshoe and rode down Main Street in the fire truck with Abbott and Costello, and they also share their memories of the park as they grew up with it through the decades. Finally, the team participates in the recent “Story of Disneyland” auction, and we report back on our successes, failures, and some of the highlights of this much-anticipated auction of Disneyland memorabilia. 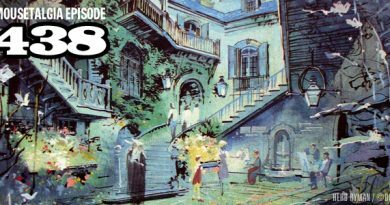 Plus – in honor of Friday the 13th, we talk about unlucky moments at the Disneyland park. From duck poop encounters to Sleeping Beauty backstage in Juicy sweatpants, we recount some of the unfortunate events that have stricken the Mousetalgia crew in the past.